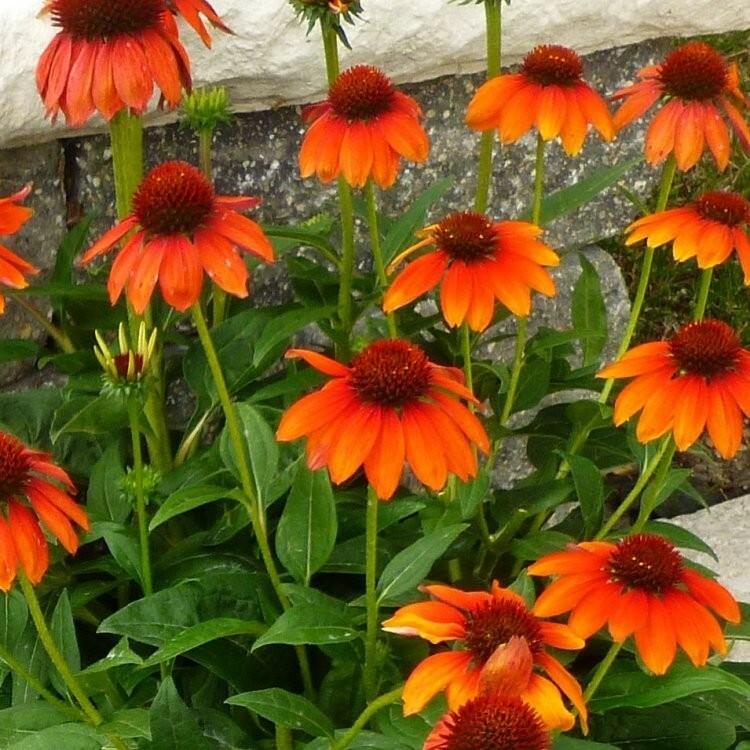 This new coneflower is topped, starting in June, with large 10-12cm wide fragrant heads of bright orange-bronze blooms on 60cm tall stems over compact foliage. These have a beautiful honey-rose scent. The lush basal rosette of wide green foliage and dark flower stems serve as a nice foil to the prolific flower display. An excellent plant that will look great in a hot border with other orange, red and yellow flowers. Pack of THREE plants, each supplied in 2-3 litre containers covered in buds and flowers in season.